Investment in its team is enabling a Stafford accountancy practice to manage its strategic development whilst advising clients on the best way togrow theirbusinesses. Howards Chartered Certified Accountants is one of the largest independent firms in the area and business performance is improving year on year. This is due, in part, tocollaborative partnerships with established independent financial advisers, pension providers, niche tax specialists, solicitors and IT consultants. It is also the result of ongoing investment in staff to ensure that all clientsreceive a professional service, coupled with a personal approach, specifically geared towards helping them to achieve their business objectives. Rewarding his achievements, Howards has promoted Nick Archer to senior manager. As well as helping a wide range of companies to make sound commercial decisions, Nick hasbusiness development responsibilities, including the ongoing improvement of client services. Meanwhile, groupsecretary and office manager Joanne Austinoversees the day-to-day running of the practice. She manages an enthusiastic team of administrative staff and is responsible for allocating resources to maximise efficiency. Thanks to a policy of promoting from within whenever possible several employees who joined Howards as trainees now hold responsible management positions. Rachael Wilson, Joe Dimambro and Chris Glue are managers within the business, whilst Jenna Hands, Rachel Sawbridge and Simon Parnell have been promoted to assistant manager roles. Matt Bailey, managing director at Howards, says: "Client needs change over time as their businesses develop so we're always focussed on improving the quality of our service to help them achieve their goals. "With this highly qualified, experienced and dedicated team we will continue to develop the relationships that are essential to maintaining client satisfaction over the long term." In the past year Howards has become an ACCA Platinum Status Approved Employer. This much sought-after accreditation is testament to the company's commitment to helping its staff achieve their full potential through training for professional qualifications and tailored personal development programmes. Howards has also been recognised in business and accountancy industry awards. The firm was a finalist and received a Highly Commended accolade at the 2018 British Accountancy Awards and was a finalist in the 2018 Staffordshire Chamber of Commerce & West Midlands Finance Awards. 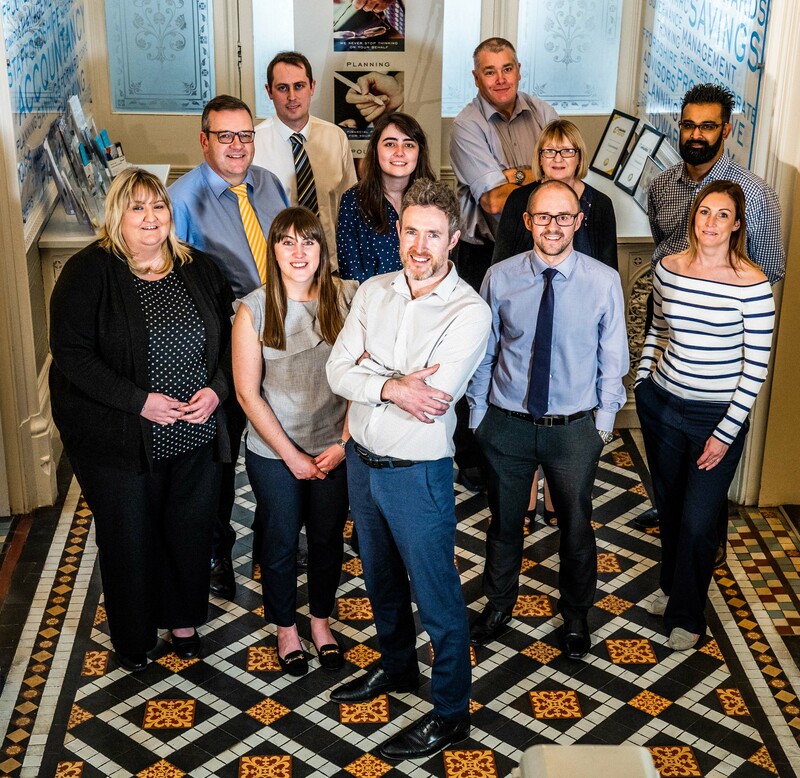 Caption: Investment in its team is enabling Stafford accountancy firm Howards to manage its strategic development and help client businesses to grow. Pictured front row (left to right) are: Karen Evans,Rachel Sawbridge,Nick Archer, Simon Parnell andRachael Wilson. Back row(left to right): Clive Boult, Joe Dimambro,Jenna Hands, Chris Glue, Joanne Austin, and Fawaad Riaz. Howards was founded in 2005 following the merger of Barrington's and Wood & Co, two well-established and successful Stafford firms of accountants. The combined experience and areas of individual expertise that the company now enjoys has been passed on to its clients, who all benefit from Howards' deeper knowledge base and wider range of professional services. The senior team comprises managing director Matt Bailey, director and commercial and taxation specialist Ryan Hudson, office manager and group company secretary Joanne Austin, senior manager Nick Archer, accounts manager Clive Boult, payroll manager Karen Evans and managers Rachael Wilson, Joe Dimambro and Chris Glue.